Renting for corporate and business purposes can take a toll whether you stay away from home regularly or sporadically – and from short stays to longer-term needs, many individuals are finding hotels increasingly under-equipped to cater to their requirements. 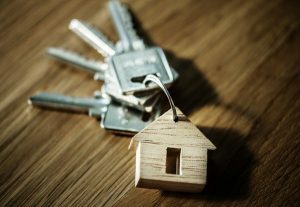 In cases such as these, it may be worth it to consider the executive rental properties on offer at Smackall Properties and Homes on the Move, especially if you are intending to say within the Eastern Suburbs, CBD and Lower North Shore of Australia. When it comes maximising productivity and ensuring that state of the art features are available, executive property rentals are often the first choice for business people travelling for work purposes. Unlike regular hotels that may sometimes cater to business needs, but often provide a broader service to cater to all customers – executive suites are often dedicated to those that need to manage and undertake professional tasks that are associated with their career. Thanks to services such as Smackall, finding a suitable accommodation for employees and employers alike has never been simpler. 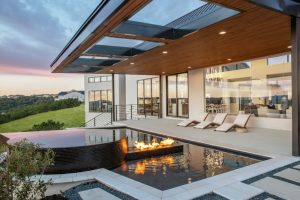 By letting properties that have been developed to cater to a wide variety of professional needs, those choosing to stay in one of their properties can take advantage of the luxury features and exclusive functionality afforded by these types of homes form home. What can you expect to find in an executive rental? One of the biggest advantages of choosing to rent with Smackall is that each property that they let out can be tailored to suit specific requirements. For instance, if a career professional requires somewhere to work quietly (often in order to have digital meetings with clients or other personnel), then an advanced VoIP service can be installed and utilised. On the other side of the coin, if the individual is planning on playing host whilst renting the property luxury features can be added to entertain, without compromising on the common features required to handle work ideas, give presentations and much more. The main purpose of these types of rentals is to assist a professional in as effective a way as possible, whether they require peace and quiet to work, a space to stay in touch, or a combination of the two; with a broad range of luxury homes available to rent – Smackall are quickly becoming one of the most sought after executive rental service providers in Australia. Experience a house created for the entertainer. Spacious simplicity, sophisticated. The kitchen is breath taking. The Framed Views are nothing short of Breathtaking. Scandinavian twists keeps you intrigued at every turn. What is that surprise in the pool room? Valkommen till Skandinaviska Farmhuset!